As February is the month of Valentine's Day, this leader who helps people find and foster loving relationships was the perfect choice! Channeling one’s dreams and passions into a successful and awe-inspiring career is a journey of dedication, hard work and unwavering faith in one’s ability to succeed. For February’s inspiring success story, we celebrate the journey of Bela Gandhi. For those who don’t know this amazing person, Bela Gandhi is the founder and president of the Smart Dating Academy – a top dating and relationship coaching firm based in Chicago. Over the years, Bela has helped hundreds of couples come together to form loving relationships – many of which have led to engagements and marriages. It’s important to note that Bela is not your average dating counselor – she is way beyond that to her clients. She inspires and motivates them to achieve their dreams to the best of their capabilities by working with them one on one in individualized sessions to help them channel their inner energy and help them see their gifts and strengths. She conducts online and in person coaching, one-on-one sessions, image consulting, along with a complete online profile makeover that allows the individual to give their life a fresh start by showcasing their personality with newfound positivity and energy. Bela helps her clients give their shy and timid personalities a vibrantly confident flair by overcoming social fears, appreciating their uniqueness, embracing positive energy and constantly improving one’s abilities. Her clients not only revive their love lives with a positive and charming attitude, but they also become more successful at their careers by being forthcoming and dedicated towards their work goals. Bela’s path to founding the Smart Start Dating Academy in 2009 was not a straight line path but started first with a degree in finance and German from the University of Illinois at Urbana-Champaign which led to her spending twelve years at Akzo Nobel as a top global executive for the multinational chemical corporation. Bela left that career behind to follow her dreams and we respect and admire the courage and passion that inspires such a decision. Following your dreams is not always easy, but if you’re passionate and dedicated, your hard work is bound to pay off. Today, Bela is not only the President of the Smart Dating Academy, but is also a member of the Executive Council for the Cara Program and an Ambassador for Chicago Woman Magazine. We at KarmaCords® admire the beauty and purpose of Bela’s work. She helps hundreds of people find love, happiness and most importantly, self-actualization because she truly helps them avoid negative energies and attack their goals with fierce dedication. No wonder The Huffington Post and Steve Harvey call her the"The Fairy Godmother of Dating"! 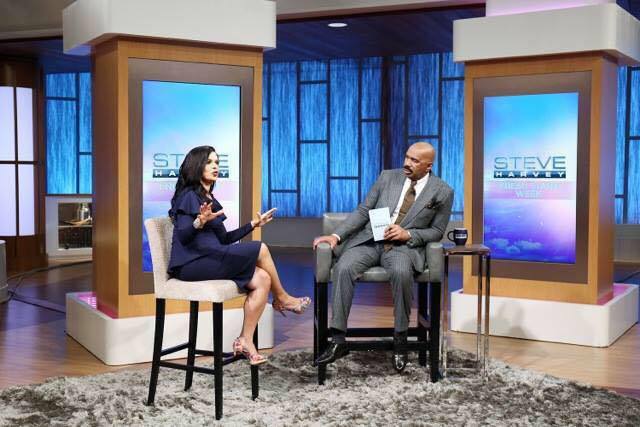 Bela’s positivity and motivating vibes reach a large and growing audience as she is the dating expert at the Steve Harvey Show, Fox Chicago, Today Show, Good Morning America, Harry Connick Jr. talk show - to name a few. Bela also contributes her insightful dating advice at several leading magazines, including Marie Claire, Glamour, Redbook, The Wall Street Journal, Essence and JET. People like Bela Gandhi, Steve Jobs, Mark Zuckerberg and all other success stories have one thing in common: they are driven by passion, vision and confidence. The road to your dreams may have some challenges, and might require more effort than a traditional job, but for many, there is a path beckoning you to travel towards your passion. KarmaCords® decided to capture Bela’s empowering and motivating nature with a powerful assortment of beads that represent her passion, purpose, and energy. Our powerful 6-sided bead reminds us to Breathe, Believe, Create, Lead, Rejoice, and Give – all part of the power process of life. The Infinity bead to reminds us of our infinite potential and ability to break-free of all limitations. To personalize this for Bela we made this in green to inspire the power to grow, heal, start fresh and create a harmonious balance, while the clear and sparkly Swarovski® crystals are symbols of purity, peace and perfection. 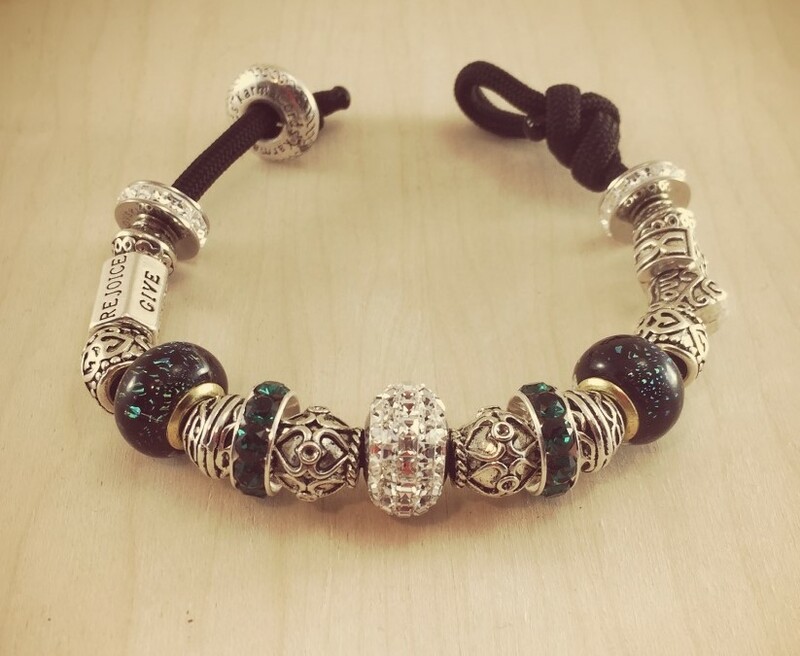 We were excited to hear that Bela connected with the design we created for her as we were really happy to represent her spiritual energy with our exquisite bracelet designs.